NCI (Nasdaq: NCIT) has secured a potential five-year, $87 million contract to continue to support a technology platform the Centers for Medicare and Medicaid Services uses to track, review and report claims data under the Medicare Fee-For-Service program. The company said Monday the contract, won through a recompete, contains one base year plus four option years and covers the request and receipt of medical documentation for Medicare claims billed as well as call center services in support of CMS’ Comprehensive Error Rate Testing program. “NCI reviews an average of 50, 000 medical claims per year under the CERT program, in order for CMS to statistically determine the improper payment rate for the Medicare FFS program, ” said NCI President and CEO Brian Clark. Clark noted the company’s CERT team has supported CMS for the past 16 years. 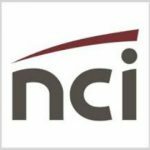 NCI said it will use the CERT360 platform that the company built for CMS to integrate and control CERT medical review processes. NCI’s team will also process medical records to support medical reviews; provide customer service support for Medicare Administrative Contractors; conduct medical reviews on claims sampled for CERT and other CMS accuracy reviews; and maintain various websites. The company added it will provide review data for CMS’ use in the National Medicare FFS program’s improper payment rate that will be submitted to the Congress.